We are honoring Black History Month with a weekly post each Monday throughout February on people and places related to the Meadowlands. The posts are taken from our archives and were originally done by former staffer Jim Wright. 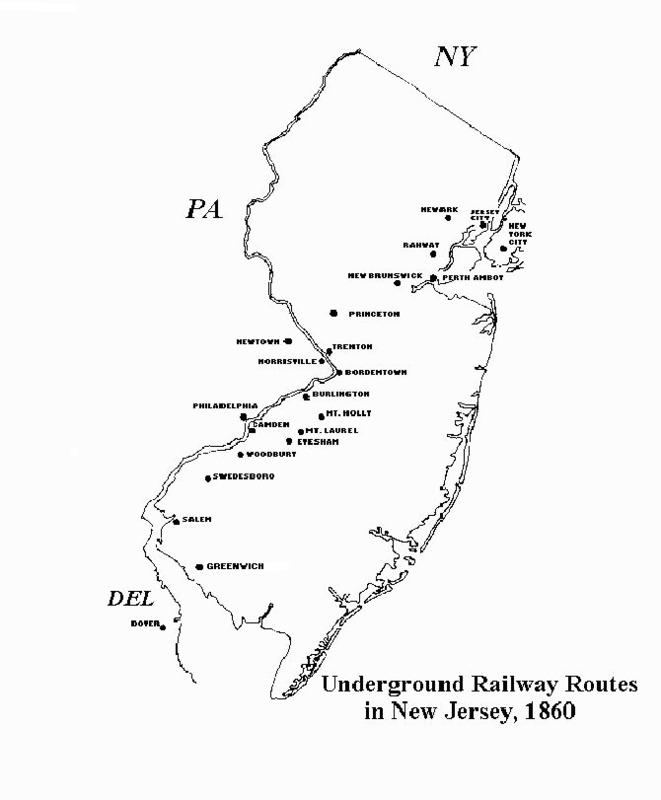 If you click on the map on the right (from the state of New Jersey’s Web site), you can see the major New Jersey stops on the Underground Railroad. More on Jersey City’s role in the Underground Railroad here. Thanks for the info, Jim! 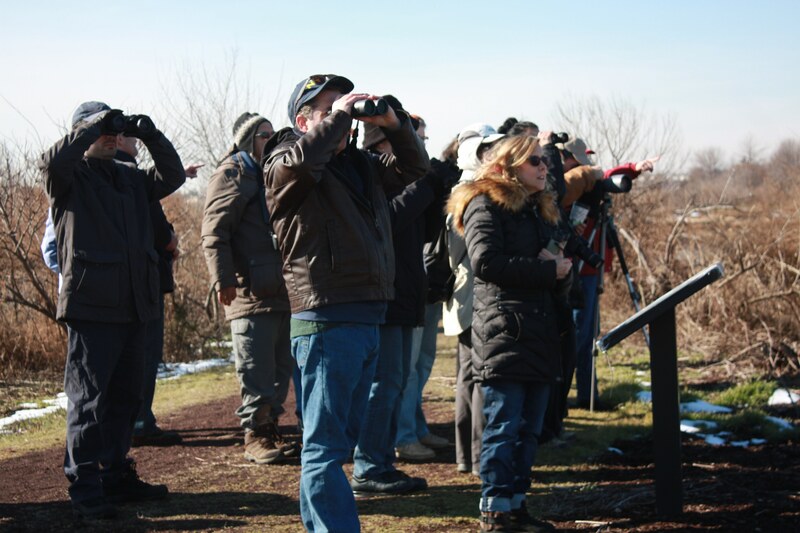 The Bergen County Audubon Society reports a great turnout for yesterday’s morning’s annual Super Bird Sunday nature walk. 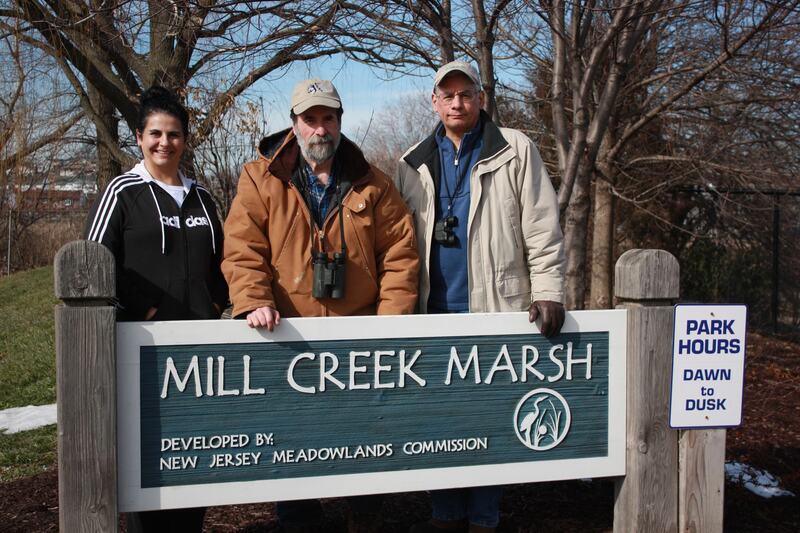 More than 50 people participated in the walk at Mill Creek Marsh in Secaucus. 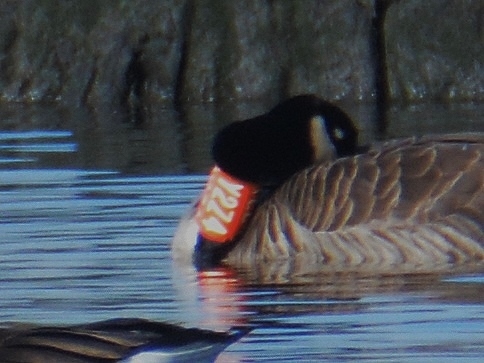 Those who were the first to spot birds with the same names as professional football team mascots were awaraded prizes and had their choice of an Audubon baseball cap, an Audubon tote bag or an Audubon backpack. Pictured with BCAS President Don Torino in the middle picture above are prize winners Icram Khalil, who spotted a (Seattle Sea) Hawk and Bob Galvan, who saw an (Arizona) Northern Cardinal. Not pictures are Karen Heifetz and Flo Rutherford, who both glimpsed (Philadelphia) Bald Eagles. 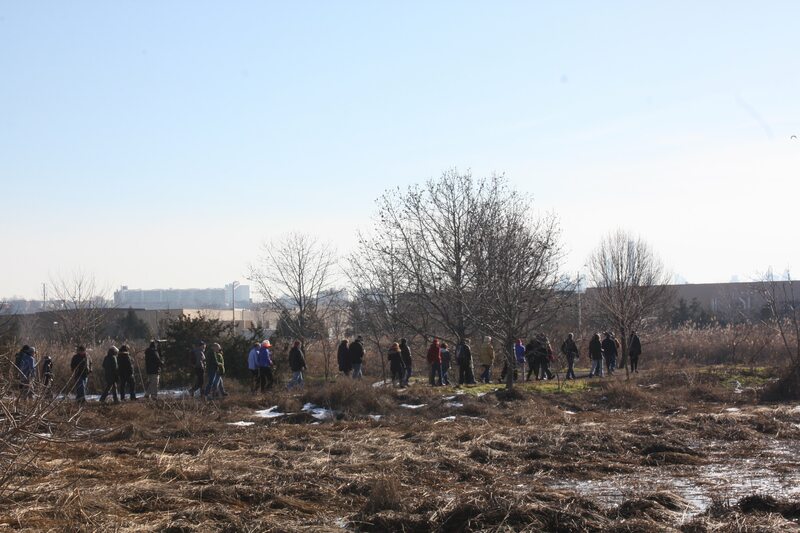 The BCAS’ next Meadowlands Nature Walk is Tuesday, Feb. 16, from 10 am to noon at DeKorte Park in Lyndhurst. They’ll be looking for waterfowl, raptors and wintering birds.The walk is free. For more information contact Don Torino at greatauk4@gmail.com or 201-280-4983.